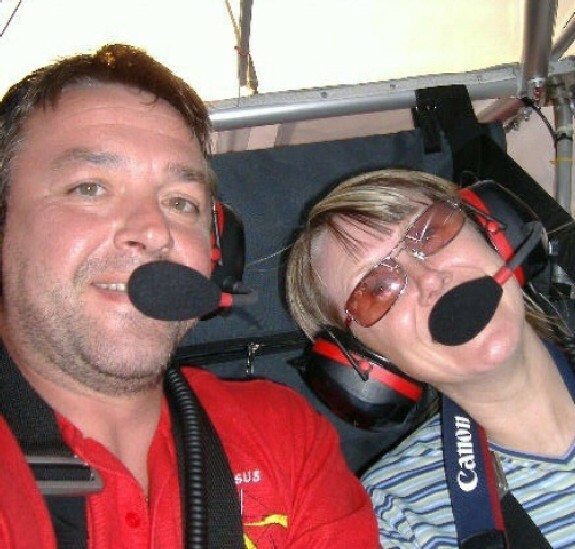 Wanafly Airsports Aviation are Dave and Amanda Ward and they run a microlight flying school in France. They fly from their own airstrip between Poitiers and Limoges which puts them fairly central in France. 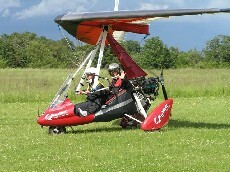 Dave started his flying career about 18 years ago with Mark Jackson, learning on flex-wing microlights. Having flown flex-wings for a few years, Dave decided to his microlight instructor’s course with Paul Dewhurst at Sywell, completing the AFI check ride with Graham Hobson. Once qualified as an Assistant Flying Instructor, Dave then worked with Mainair at Barton, Manchester, for a year to gain his full Flying Instructor rating. Following this, Dave set up his own school at Crosland Moor near Huddersfield. Despite the weather and a relatively small catchment area the business was a great success and there were soon too many customers to cope with. Dave and Amanda had holidayed in France for 12 years and enjoyed the French lifestyle so logic dictated that they should move the business over to the Continent. Near 3 bases for the budget airlines, Angouleme, Poitiers and Limoges, they picked a 65 acre site within easy travelling distance of many UK airports. Their farmhouse has room for their flying students to stay and Dave and Amanda offer full board so the guests can concentrate on chilling out and learning to fly. They have a Skyranger 3-axis and a Pegasus Quik flexwing microlight available to learn on and you can even do conversions if you require. They cater for all levels of student who wish to gain their NPPL Microlight licence. This entry was posted in All Podcast Episodes, Flight Training, Microlights and tagged Flight Training, Flying, France, General Aviation, Microlight, podcasts by admin. Bookmark the permalink.